Trends predicted for 2018 and beyond show a demand for omni-channel customer support and service. Businesses can prepare by leveraging Office 365 with Crow Canyon Software’s Customer Support and Service Application. Crow Canyon Software announces the release of its Customer Service & Support Application for Office 365. With this program, organizations of all sizes will be able to improve their customer service while leveraging the capabilities of Microsoft’s cloud-based Office 365 platform. Office 365 has seen rapid adoption by businesses around the world. However, there has been a lack of robust business process applications that can run on that platform. Crow Canyon Software, with its long history of development on the SharePoint and Office 365 environments, has a range of applications available that are showing businesses just how much can be done on these platforms. Crow Canyon’s Customer Service program allows users to enter requests by email, web, phone, chat, and a customized Application Portal. Once the request is logged, automation processes run from Crow Canyon’s easily configured Workflow Manager. Also provided is a reporting tool that helps identify bottlenecks and areas of improvement so that an organization’s customer service can continually advance. Customers benefit from quick and accurate responses and automated follow-ups. Surveys and email interactions ensure the customer is satisfied with the resolution. This often results in increased approval ratings and positive reviews on social media. It is well-known that excellent customer service improves an organization’s bottom line — having an efficient tool that can accelerate that is crucial to success. Given the expectation of even more growth in SharePoint and Office 365, with their ease-of-use and many features, more and more organizations will be looking to use these platforms for business processes, replacing outdated legacy tools and home-grown programs. 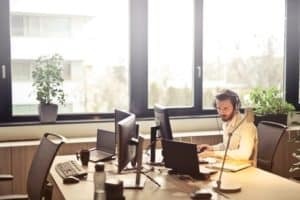 Crow Canyon is in a unique position to provide these applications, with the Customer Service as just one example of how powerful Office 365 can be with the right applications on top of it. Crow Canyon Software provides a portfolio of powerful SharePoint and Office 365 applications to help organizations improve their business processes. Solutions include IT Help Desk Support, Customer Service Requests, Facilities Maintenance and Asset Tracking, among others. The Crow Canyon staff has developed a reputation for quickly tailoring each application to the specific needs of its clients, without the heavy price tag and long deployment times usually associated with custom installations. 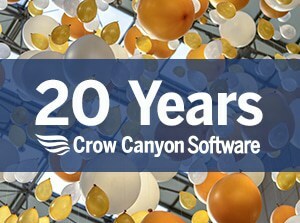 Crow Canyon’s skill and dedication to meet each client’s unique needs has consistently earned the company high marks from its client base and on published software review sites.